Vaporizers have been around for many years. When vaping first came out, only a few people knew about them. Vaping cannabis is known to be an effective substitute for smoking cannabis or cigarettes. There are rumors and whispers that this could be the case, so we’re going to take a look at what vaping can actually do for cannabis smokers. Can vaping cannabis help you to quit smoking it? Vaping refers to the acts of inhaling and exhaling vapour through a vaporizer, which is commonly known as a vape or an e-cigarette. A vaporizer is a battery or electrical powered device that vaporizes your favorite herbs or oils. 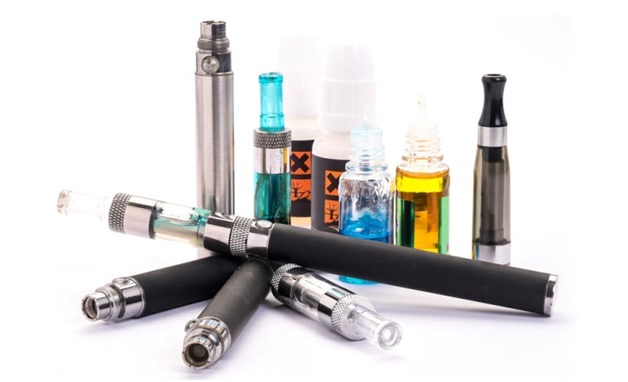 Be it essential oils, e-liquids/ejuice for nicotine, or your favorite buds, a vaporizer pen can be your new preferred method for a variety of reasons. You load up your material in your chamber, whether oil or herbs, then close the mouthpiece and vape away. An herbal vaporizer doesn’t burn herbs, but rather heats them to the boiling point. For most portable dry herb vaporizers, you can set the temperature as desired. Every herb requires a specific temperature. Some herbs are wetter, while others can’t grind up as well. A dry herb vaporizer or as many refer to it, a weed vaporizer is the healthiest way you can get the same sensation of smoking your herbs, tobacco or marijuana. Vaping is an effective way of administering nicotine or THC instead of smoking it. People who vape using a liquid which contains nicotine may experience a nicotine rush (which feels like a head rush and can be pleasurable and relaxing) or the psychoactive effects of THC when vaporizing marijuana. Although there is no easy answer to this question, it is a matter or preference; there may be some ways in which vaping cannabis can help you to stop smoking cannabis, but they haven’t yet been proven. Vaping cannabis can give you a burning sensation in the back of your throat and the deep inhalations and exhalations are really similar to what you would do when smoking cannabis. If you’d like to quit smoking cannabis but still use the drug in a different way, vaping is a fantastic option. It’s relatively simple to use cannabis through a vape and a massive benefit of doing so is that the smell is more discreet than smoking so you’re less likely to draw attention to yourself if you do it in public and it’s much better for your health. Improved lungs – With nothing to burn and no smoke, your lungs get a great service. Less tar and fewer toxins will be absorbed into your lungs/throat. Save dry herbs – Dry herbs last longer when they are not burned up. Stealthy – If you are trying to stay discreet and not get noticed when smoking, vaping is a wonderful device for that. No Smell (Electronic Cigarettes) – With no hint of smell on your clothes, fingers, or breath, vaping e-juices proves best in that department. No need to cover up your breath with gum and then douse yourself in cologne. Herbal vapes do not completely cover up the smell either, but do a much better job than regular smoking. Vaporizers come with many benefits, ranging from convenience to discreet use. They come in all shapes and sizes, creating many possibilities to suit your preferences. Some use a dry herb vape pen for convenience in that it easier to light up. If you are one of those, you might want to stay away from dry herb vape pens and embrace the use of portable or desktop vapes. Dry herb vaporizers are used for herbal vaping with marijuana and others, such as tobacco. This is no doubt the healthier way to smoke, as it reduces the production of tar and other toxins produced along with smoke. Rather than burning or combusting the herbs, an herbal vape heats up the herbs and turns their active ingredients into vapor. Dry Herb Vaporizer Pen – People who like to vape as they walk around do not like big, bulky herbal vapes. Dry herb vape pens are good when you want to be discreet. Some vapes are as big as a Sharpie, while others are as thin as a pen. Vaporizers come with a small power button on the battery which is usually turned on by 3 or 5 clicks. With your herbs, well ground, load them into the chamber. Close the mouthpiece, and then press the power button for about 5 seconds while it heats up the coil to vaporize the herbs. Then take a hit, slowly. Portable Dry Herb Vaporizer – Portable weed vaporizers are always handy when you’re on the go and need something a bit more advanced. With the option to change your temperature settings for most of these devices, as well as possible access from your smartphone, portable vape pens are wonderful. Some even feature dual use and their chambers can be used with concentrates. Stationary Desktop Vaporizer – The most advanced, accurate, durable and powerful of all herbal vaporizers is undeniably the desktop version. It is named “desktop” because it literally sits on top of a desk and is plugged into an electric outlet. It is specifically for at-home use only. The two options that come with a stationary desktop vaporizer are a whip-style, which allows you to only go as far as three feet from the device, and balloon bag attachment, which lets you walk around the house with it. Wax vaporizers or dab pens are portable wax vape pens used for concentrates. They are generally made from metal and have a coil wrapped around a white wick in their atomizer. Recently, new coil designs have been created. Some include the all-white ceramic plate and double ceramic or glass rods. Wax vaporizers tends to burn at a higher temperature than their counterpart, the portable dry herb vaporizer. Electronic cigarettes, or e-cigs, are vaporizers that use e-liquid or e-juice to help cigarette smokers quit. Some people even use them as an e-hookah, a hookah on the go. E-liquids are a type of juice or oil that goes into your electronic cigarette to produce the feeling you would usually get from smoking. E-juices may or may not come with nicotine, depending on their type. When you want to quit, smoking cigarettes using an e-cig, figure out which strength of nicotine will best work for you. To use one, simply click the power button 5 times and load up your e-liquid. Load it up by filling it from the side of the clearomizer or by dripping it on the cotton. Let it soak in and heat it up by keeping your finger on the power button. Make your purchase from a reputable store like Vaporizers Direct. Find a retailer that has no issues shipping to you. Do your research when looking for the right vape. Read reviews, look around and check prices. Previous Montel Williams on Multiple Sclerosis and Marijuana!